Do those top button have lamps in them? Also please post matrix monitor screenshot and hardware settings. Re: [Done] CommonSense controller - better capsense! Oh, btw. I have a topre on my table with controller replaces by CommonSense. I mean, _completely_. 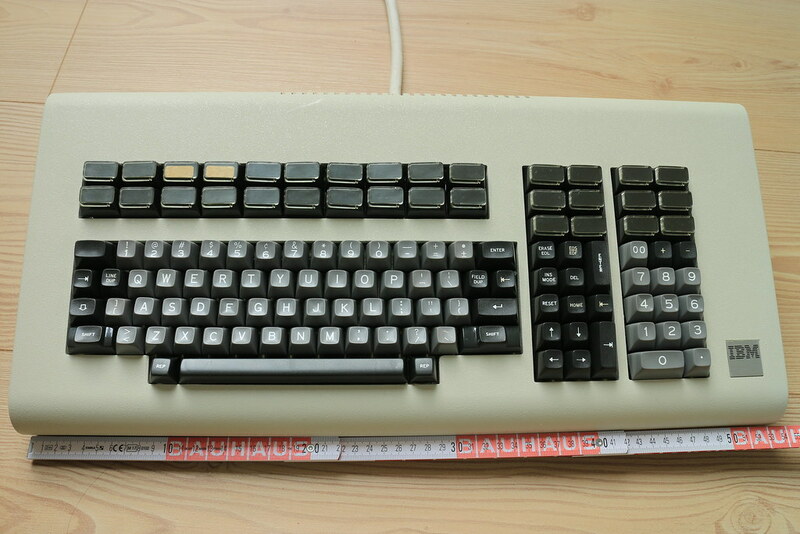 No active components from original keyboard. The only problem is you need to get switch mechanisms from somewhere. Flat PCB works with no modifications - CSSK is the living example. I think it would be great if we could work with Unicomp; like the way that AMG works with Mercedes. Has anyone ever tried to reach out to them? I do remember we have at least one Unicomp guy at this forum. Topic: wcass' Compact SSK: a review, reverse engineer, teardown, geek-out. Re: wcass' Compact SSK: a review, reverse engineer, teardown, geek-out. Glad to hear it’s serving well. Got any pics? Topic: [IC] Qi wireless charging? Yeah, this is more of "design the whole keyboard" territory. Also people knowing china say that qi receiver with 5V output costs about $1. So there's that. Looks like $8 controller (BGA only, so MOQ applies because PCBA required) + $4 coil gets you wireless charging. Question is - will there be any interest in that? Topic: How much runtime is enough for BT keyboard? How much runtime is enough for BT keyboard? Topic: CommonSense controller for digital piano project?